Payment is made through Paypal and Stripe secured services. We accept Visa, MasterCard and American Express. This implies that no banking information is transmitted to www.alpachura.com. Payment by credit card is perfectly secure; Your order will be recorded and confirmed upon acceptance of payment by the bank. The refund of your order will be made by credit card. The bank account used by the Client for the purchase of the returned product will be automatically re-credited with the refunded amount. The offers are exclusively for consumers with a shipping address in countries where Alpachura ensures delivery. The products presented on the site are limited editions. 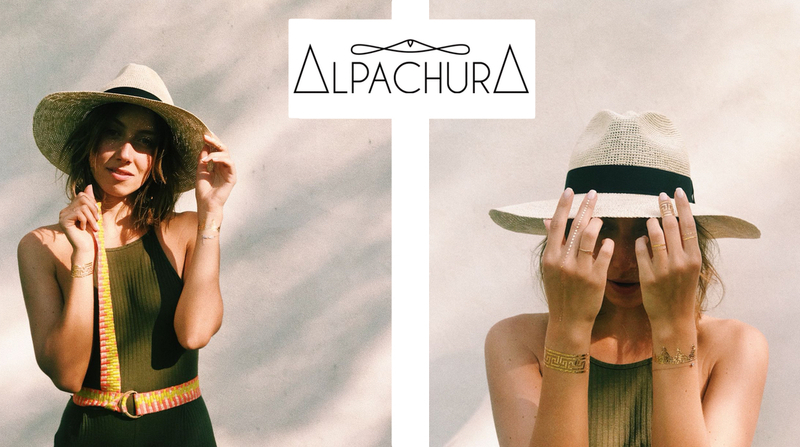 In case of the Client orders a sold out item, Alpachura will refund the Client within 15 days. Alpachura is committed to inform by email the Customer who has ordered a Sold Out item. The products for sale are described and presented with the greatest possible accuracy. Each product is handcrafted and unique; it can not be contractually associated to the presented pictures. The pictures representing our products are only indicative. Due to its suppliers, Alpachura could be required to deliver to the customer a slightly different product with equal quality. The invoice is sent to the email address specified in the order. If the country of delivery is not part of the European Union, potential customs duties are due by the Client. Alpachura has no control and no responsability over these charges. If an item or multiple items are not suitable, the Customer has a period of 14 days from the date of delivery of the goods, to exercise the right of refund of the order. The date mentioned on the invoice is the one that will be taken into account as the reference date. The refund may relate to all or part of the order. Return shipping costs are due by the Customer. Paypal offers to reimburse the return shipping costs (if the goods have been fully paid with your Paypal account). The customer is within his rights to refuse acceptance of the package if the delivered product is found to be damaged. Product exchanges are not possible, only refunds are accepted. Damaged, soiled or incomplete product without their original packaging will not be accepted nor refunded. Beyond the period of 14 days from the date of delivery, the goods will not be refunded. Alpachura Enterprise, 31 rue des graviers, 92 200 Neuilly Sur Seine, France. For any order placed via Paypal secure platform, return shipping costs incurred by the Client may be reimbursed by Paypal itself. For further questions, please contact us at the following address: contact@alpachura.com.